Who would have ever thought that Kingston would release a headset? 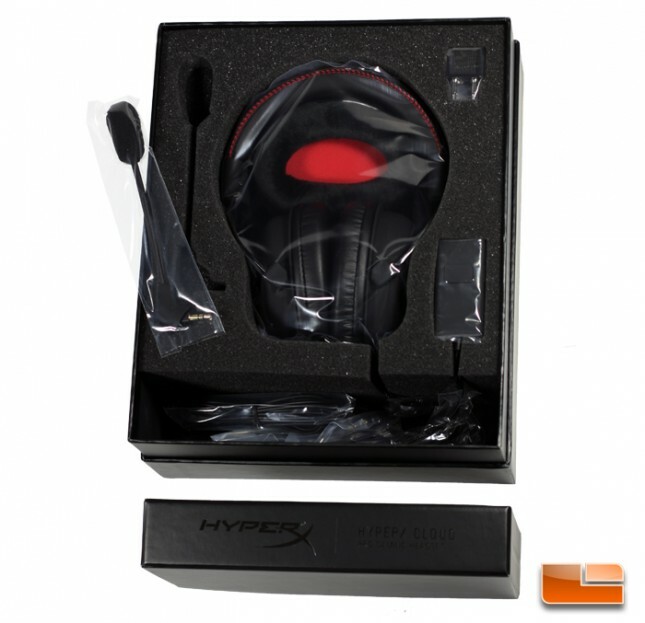 If you only thought the company was about computer memory and data storage, then you might be surprised to have learned that Kingston has released a serious gaming headset called the HyperX Cloud. Kingston has become on of the most recognizable brands amongst the emergent esports crowd as a result of the HyperX division sponsoring many professional gaming teams. Since computer peripherals and especially headsets are the most visible equipment the pros use at LANs, it could be that the Cloud headset is Kingston’s way of getting their gear out of the computer and onto the players. Afterall, Team Liquid, Alliance, and Intel Extreme Masters are the gaming organizations printed on the top of the box. Kingston acknowledges that the HyperX Cloud was codeveloped with Qpad, a major peripheral brand based in Sweden. 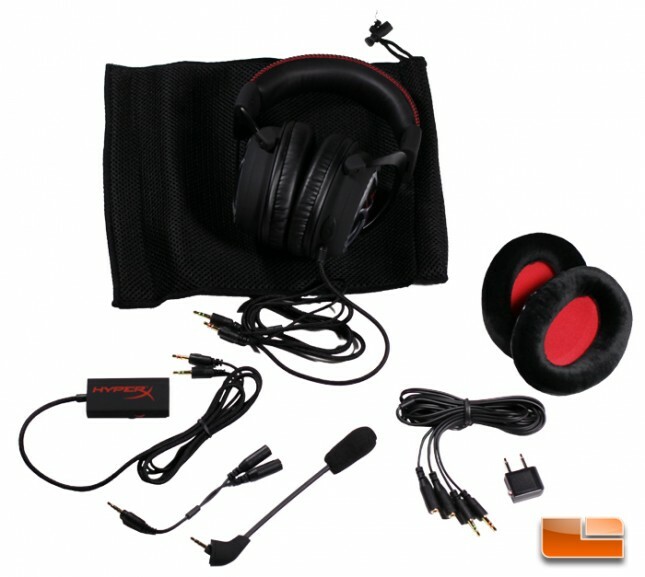 We’re going to give credit to where it’s due – the HyperX Cloud is a rebranded Qpad QH-90 which in itself is a Takstar Pro 80 headphone modified to include a detachable microphone. Don’t let this lower your expectations. Qpad previously worked with Beyerdynamics on the QH-1339 and Takstar is well-regarded in the audiophile community. 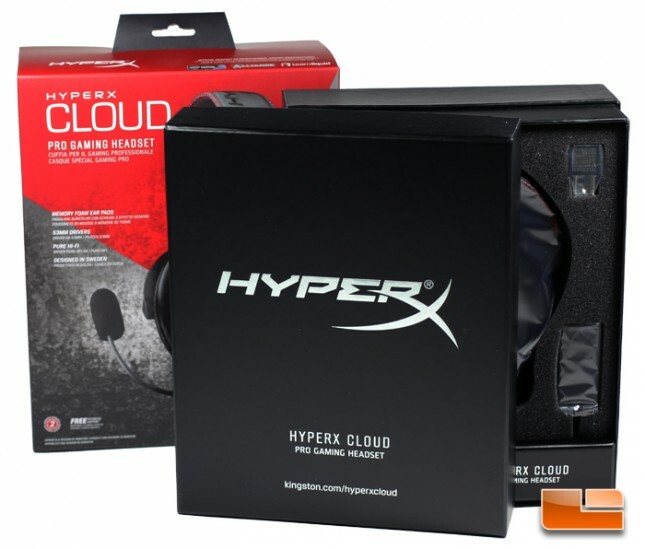 The HyperX Cloud is built around a pair of 53mm drivers with a 15 – 25,000 Hz frequency response. 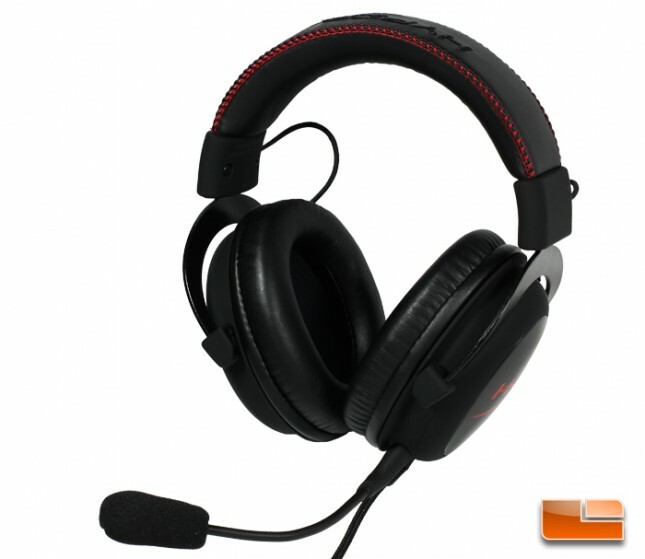 The headset design is taken to the limits with padded headband and interchangeable earcups, extensive use of aluminum in the construction, and detachable microphone. 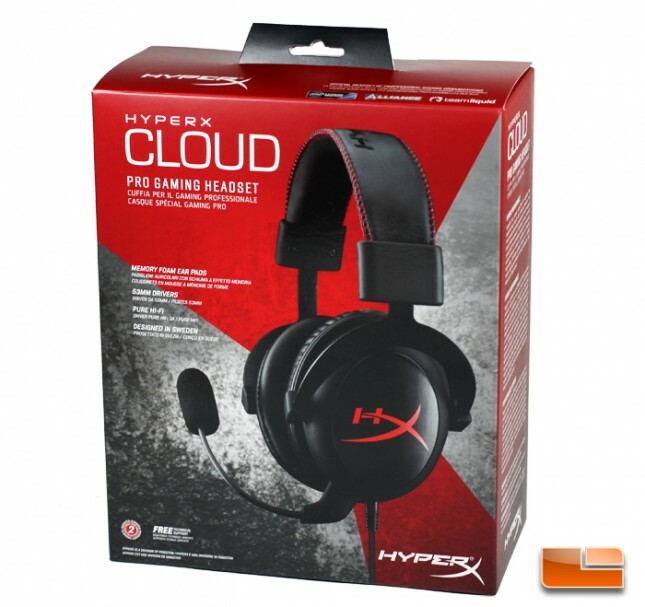 The HyperX Cloud comes with a 2 year warranty and is available at Amazon for $89.99 with free shipping. 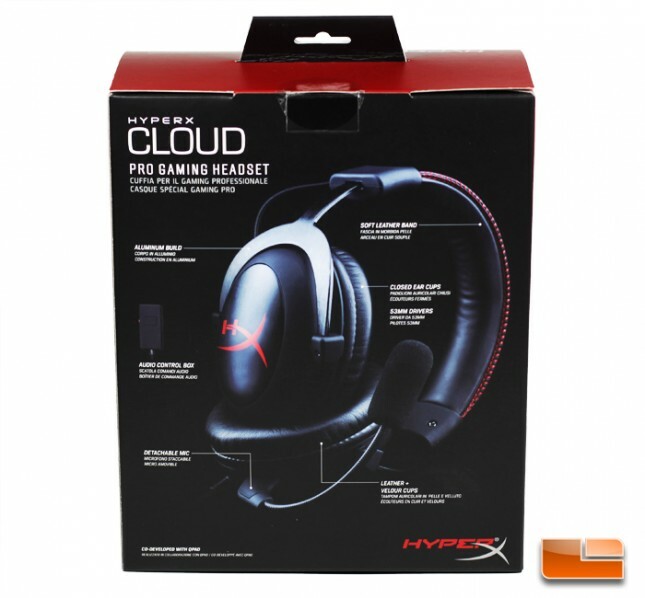 Kingston really wants to make you feel like a pro with the HyperX Cloud. The shoebox like inner packaging makes for a fairly elaborate presentation. 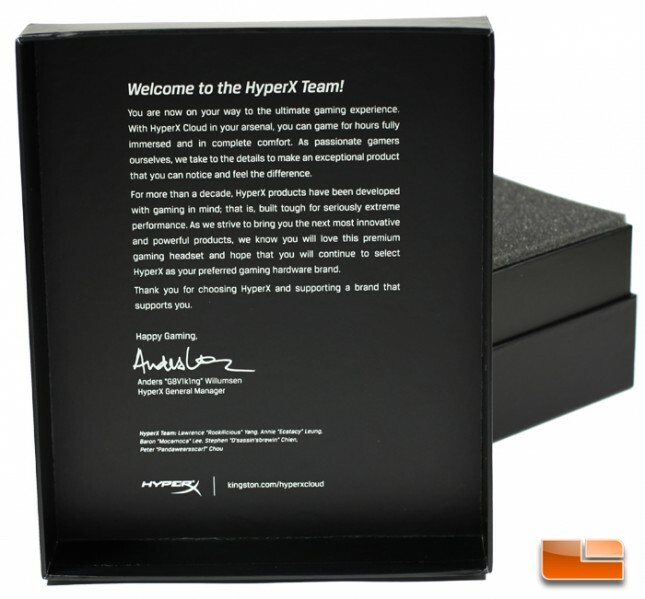 Underneath the lid of that box is a friendly introduction by the HyperX General Manager, Anders “G8V1k1ng” Willumsen. At one end next to the foam cradle is a cover that hides the carry pouch and extension cable. The headset along with additional earpads, detachable microphone, control box, and airliner adapter are all nested in the protective foam. The complete set of accessories are a padded mesh carry bag, 2m extension cable, 4-pole smartphone and tablet adapter, detachable microphone, control box, airline adapter, and additional pair of velour earcups. The latter two items are additions by Kingston over the Qpad QH-90 and they’re smart supplements for the pros travelling to LANs and tournaments. So far, we’re off to an impressive start. Let’s see everything else the HyperX Cloud has to offer!